Monday Mysteries! This time, not a specific book review, but a couple of authors (filed under "G") whose work I have enjoyed a lot. Also, on reflection, we could call it "Girls Gone Independent" (sorry, couldn't think of a "g" word to finish the alliteration). First: Dorothy Gilman, author of the Mrs. Pollifax series and a number of stand-alone books. Despite the essentially light nature of the Mrs. Pollifax stories, Gilman is no pussycat about hairbreadth escapes and flirting with death. Mrs. Pollifax does it all, and is no stranger to carving victory painfully from the iron grip of defeat. 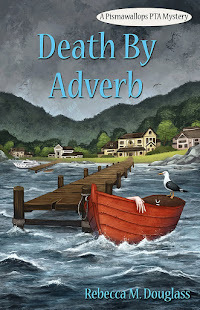 In many books, she faces death with a calm born in part of her age: she's been there before, and knows it's only a matter of time. In fact, on reflection, Mrs. Pollifax is a great role model in several ways. Heck, she even takes up yoga and karate so that she can be better at what she does. Plus: taking volunteerism to a whole new height (did I mention she just walked into the CIA and volunteered to be a spy?). For an extra treat, get hold of the Recorded Books versions of the stories read by Barbara Rosenblatt. Second: Kerry Greenwood, author of the Phryne Fisher mysteries, set in Australia in the 1920s. Another female who doesn't follow the rules, Phryne (pronounced "fry-knee"), the daughter of an English lord, has moved to Sydney, Australia just to get away from a family that would insist she be modest and chaste and marry the man they chose. She has no plans to do or be any of those things. Rich now, but from a poor background, she has her own unique take on the world of both the rich and the poor. Phryne parties hard, sleeps with her Chinese lover (and at times with any other attractive young men she wants to), and drives fast cars to chase the bad guys, all the while dressed to the nines. Like Mrs. Pollifax, she's not terribly realistic, but she's a lot of fun, and her adventures are fast-paced, entertaining, and occasionally thrilling (I wonder how Phryne and Emily Pollifax would feel about being lumped together this way? Maybe less upset than you'd think). However, while Gilman keeps her writing PG, Greenwood definitely embraces an "R" rating. Not that there's anything wrong with that. 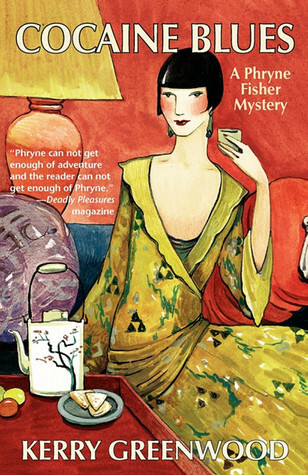 Cocaine Blues is the first of the Phryne Fisher mysteries. 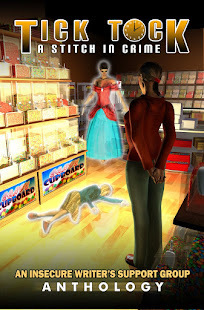 Time for another shout-out for the Princelings giveaway from Jemima Pett. Click the Rafflecopter to enter to win a variety of books--including The Ninja Librarian! Loved what I saw here! I am nominating you for a Liebster Award. 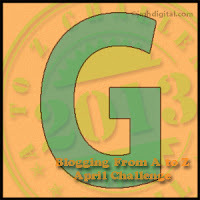 Check out our blog on Weds for more information! Both these books sound great-- I love a good mystery. And I love a heroine who is gutsy and defies the stereotypes. Definitely. I never thought of the two as similar until I started writing this, but there is a connection. They definitely both are willing to dump convention. I'm pretty sure they both wear hats, too. Both books sound like excellent books to read. Yvonne, Lexie, I promise they are both fun reads! I can't of course guarantee they'll be to everyone's taste. . . But I'm feeling the urge to dump some Mrs. Pollifax into my MP3 again and take another listen,especially to the earlier books. Good golly, Miss Molly - you've come up with two amazing heroines that I've never heard of! I must check out Mrs Pollifax and start training for the CIA at once! Thanks for the shoutout, too! Mmm. .. not sure the CIA will take an Aussie, you know? Not sure you'd want to be part of today's CIA anyway. Just listened to an NPR piece on them today and am thinking Mrs. Pollifax would be MOST unhappy with them.